Personally signed on the base by Ceramic Artist Anita Harris. 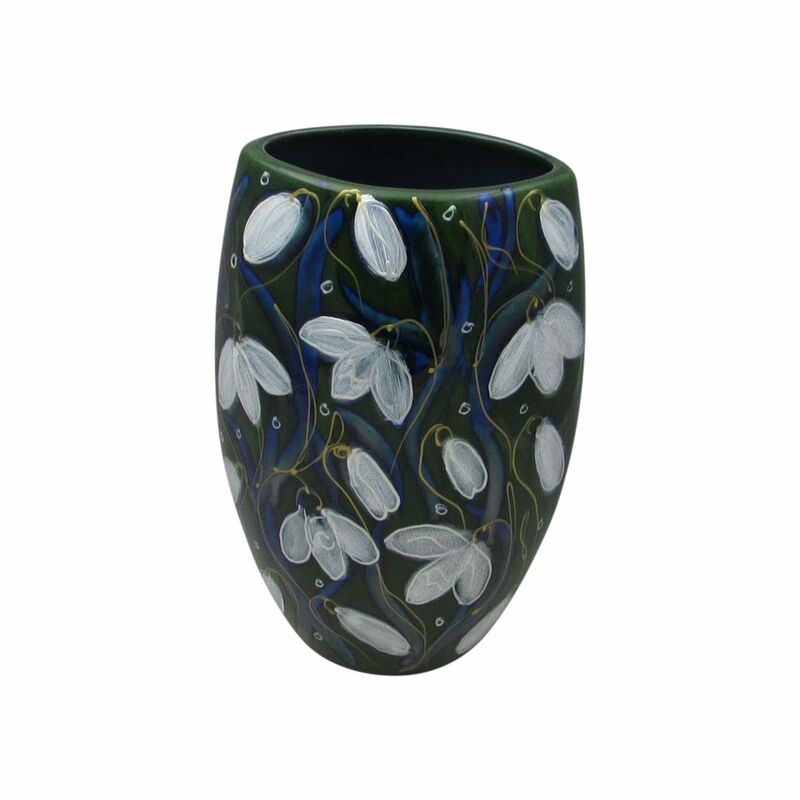 A 16cm Snowdrop Design Oval Vase. Produced by Anita Harris Art Pottery. The Snowdrop design is one of the open stock designs. Accordingly it is signed on the base by the Ceramic Artist Anita Harris. Hand painted using reactive glazes. And it is these glazes. That gives each vase produced. That vibrant and colourful finish. A technique which they have perfected over many years. As a result each piece of pottery produced. Requires several firings during the decorating process. As a resuly of the hand painting process. No two pieces of pottery produced are exactly the same. Therefore each piece of pottery produced is slightly different. Specifically the bisque used by Anita Harris Art Pottery is hand cast in Stoke on Trent. Using traditional production methods. Anita Harris Art Pottery established in 2006. By two leading ceramic artists. Anita Harris and Samatha Johnson. Before moving to Stoke on Trent. To work at Moorcroft as a Leading Designer. Anita Harris had been a senior designer at Poole Pottery. Whilst Samatha (Sam) Johnson. Also a Leading Designer with Moorcroft. Both well known for their designs. And acclaimed by collectors of art pottery. For Poole Pottery, Cobridge Stoneware and Moorcroft. Now joined by Peter Harris. Son of Anita. Who has inherited his mother’s talent. Stoke Art Pottery have been selling Anita Harris Art Pottery products since 2006.